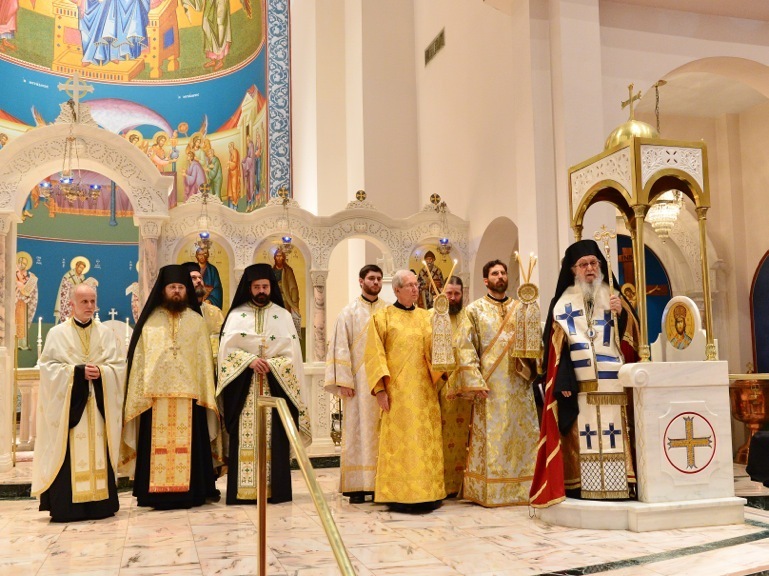 Dallas, TX - The Assembly of Canonical Orthodox Bishops of the United States of America commenced its fifth annual meeting Monday, September 15, with a Pan-Orthodox Clergy-Laity Gathering in Dallas, Texas. 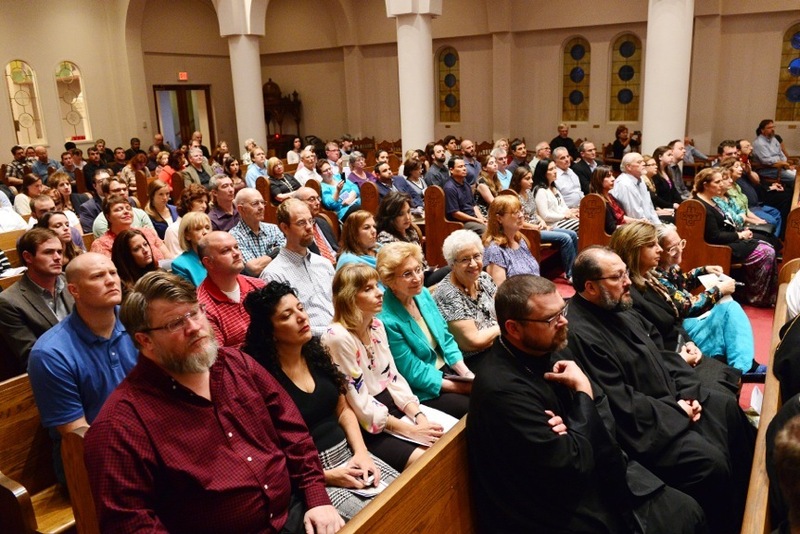 Some two hundred people attended, including more than 30 bishops representing the member jurisdictions of the Assembly. The evening began with a Doxology—a service of thanksgiving—presided over by the Chairman of the Assembly, Archbishop Demetrios of America. His Eminence welcomed those in attendance, remarking that the Doxology was an opportunity to thank God for all His gifts and for bringing the Assembly together once again. His Eminence expressed his wish that the evening would make the faithful more aware of the sacred and great work that the Lord is doing through the Assembly. Following the Doxology, a panel of bishops answered questions submitted by those in attendance. Questions pertained to the work of the Assembly, including youth ministry, inter-church relations, and evangelism and outreach, and challenges facing the Orthodox Church today, including questions of language, administrative reorganization, and persecution of Christians in the Middle East. 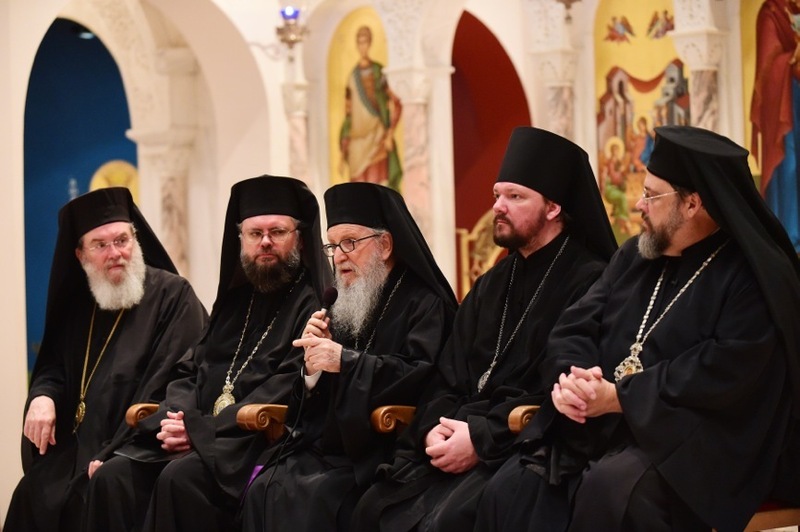 Five bishops were on the panel: Archbishop Demetrios (Greek Orthodox Archdiocese of America), Bishop Basil (Antiochian Orthodox Christian Archdiocese), Bishop John (Russian Orthodox Church in the USA), Archbishop Nicolae (Romanian Orthodox Archdiocese), and Bishop Gregory (American Carpatho-Russian Orthodox Diocese). The panel was moderated by Archimandrite Nathanael Symeonides, a member of the Assembly’s Secretariat. The event was professionally videotaped and will be available on the Assembly’s website in the near future. 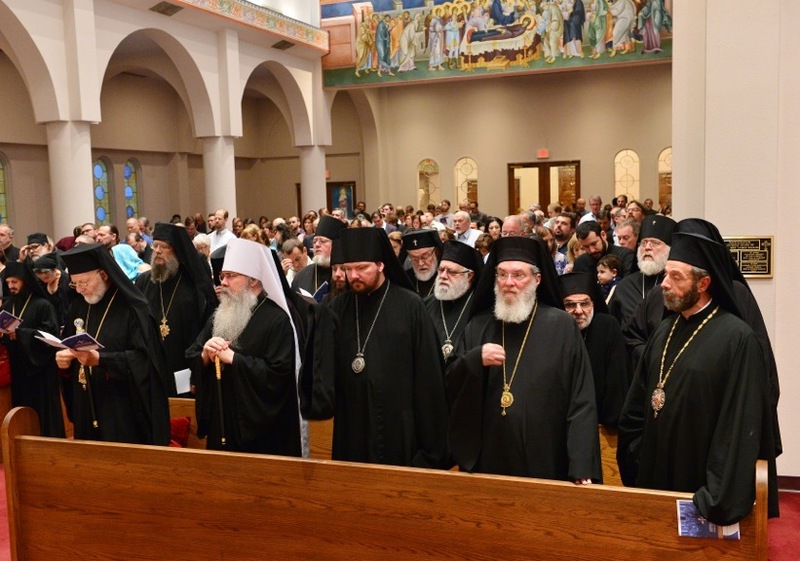 The Assembly’s official deliberations begin on Tuesday, after a morning Divine Liturgy and memorial service for Metropolitan Philip of blessed memory, who passed away in March.